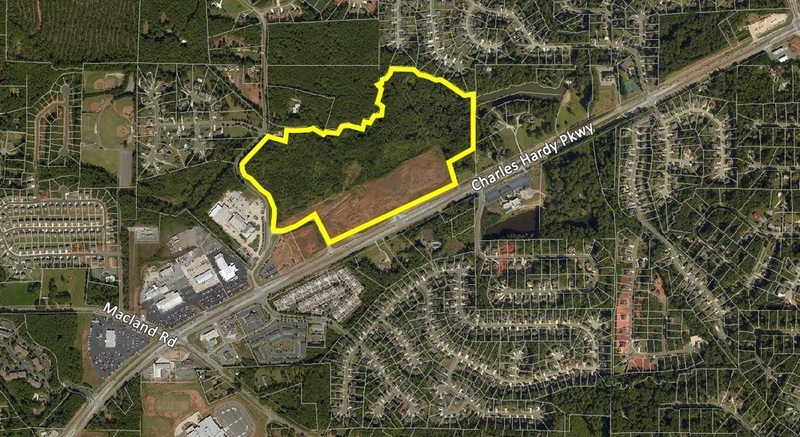 Bull Realty is pleased to offer this approximately 17.5 acre tract zoned PD as part of the approved Strong Rock DRI (Developments of Regional Impact). This site has frontage on Interstate 75 with traffic counts over 90,000 cars per day. 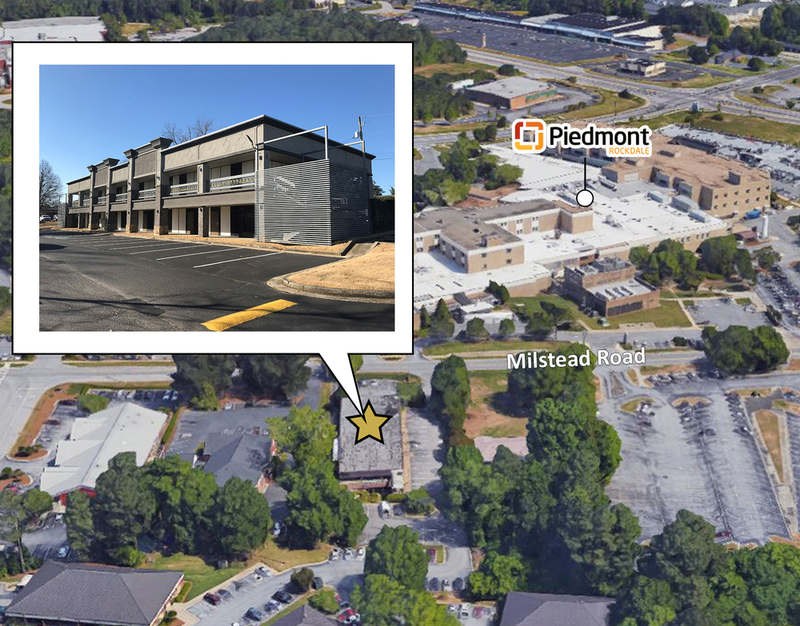 The property is adjacent to the Piedmont Henry Hospital property and under the approved DRI, is designated for medical office space and a nursing care/assisted living facility. 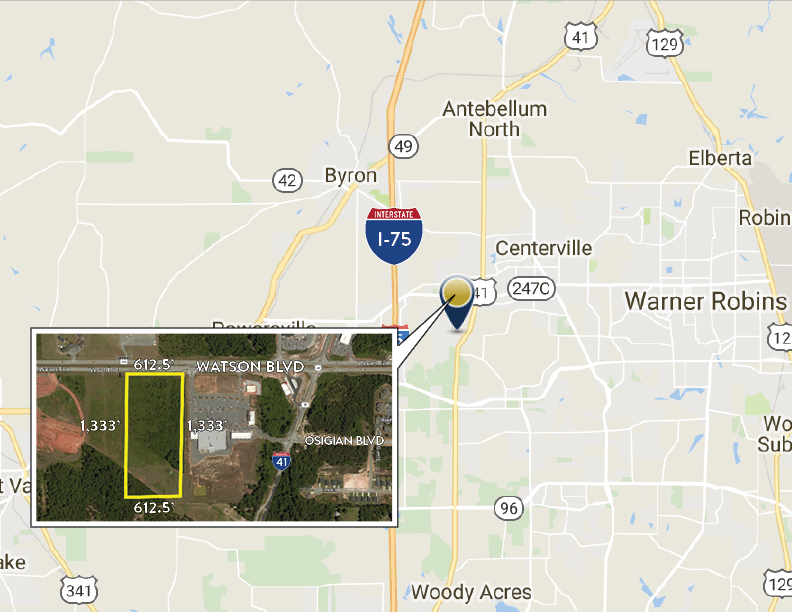 Easy access to I-75, just off of exit 212, shopping and restaurants makes this a very convenient development tract. This office/warehouse was most recently used as an NFL prep training facility and is offered with all the remaining equipment. The building is divided into a 10,000 SF warehouse area, 3,000 SF office area and a 2,800 SF mezzanine space. It is currently configured with 6 offices, a conference room, men's and women's locker rooms, massage therapy room, break area, lounge, laundry room, a 90' x 50' turf field, 2,000 SF weight room and a 60 yard long turf-style running track. There is an outdoor all-purpose field (100 yd x 40 yd) with irrigation system. Located in Sunny Industrial Park, the 3.46 acre site has the potential opportunity to be subdivided into a ± 1.46 acre parcel, including the building, without the 2 acre outparcel*. Surrounded by both industrial and retail properties, this location is suitable for a variety of uses. *This subdivision is an estimation that would require a professional survey and county approval. 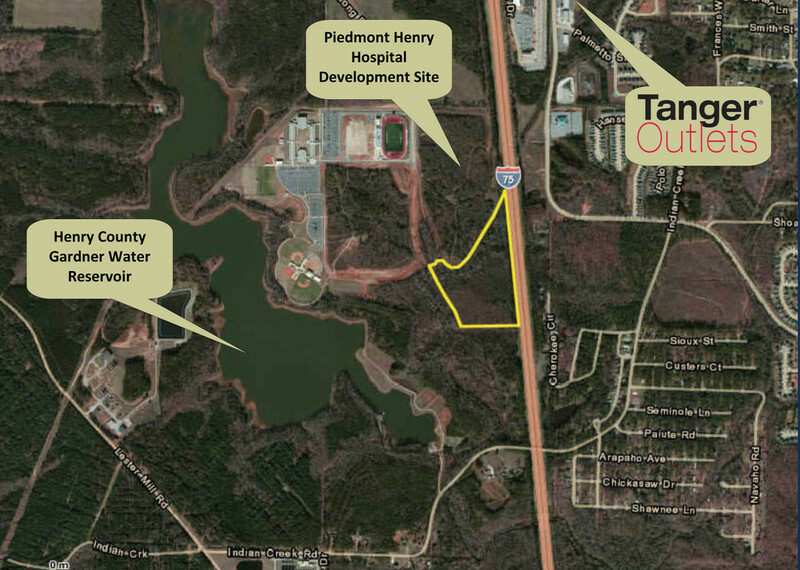 This offering is a rare opportunity to acquire land suitable for commercial & retail development in fast growing Houston County, Georgia. 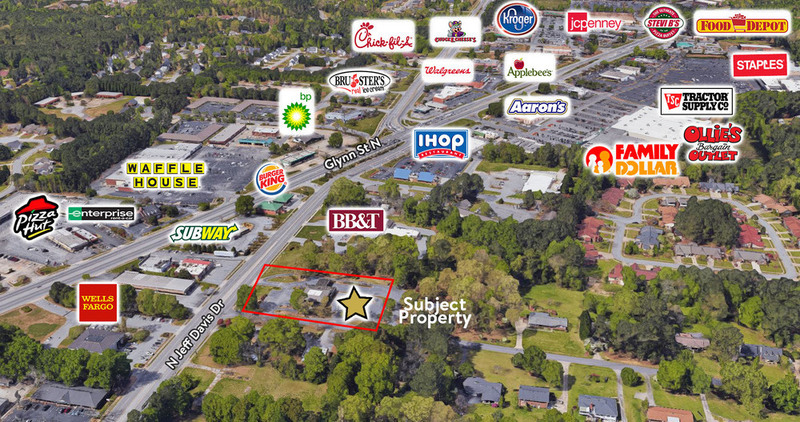 The subject property includes 20 acres of commercial land and is located adjacent to Publix at Gunn Battle in Warner Robins, GA. 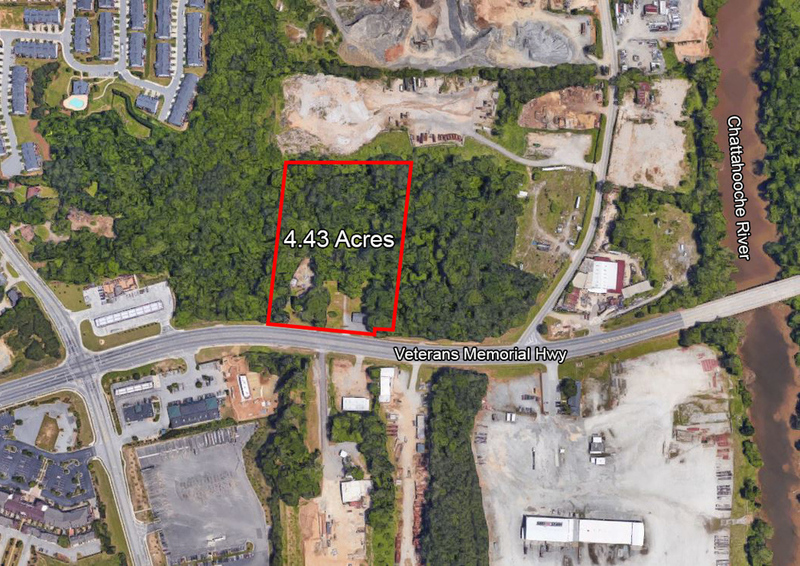 This 1.14-acre corner site is located in Clarkston is available for both sale or groundlease. Ideal uses include retail, restaurant, medical and office uses. 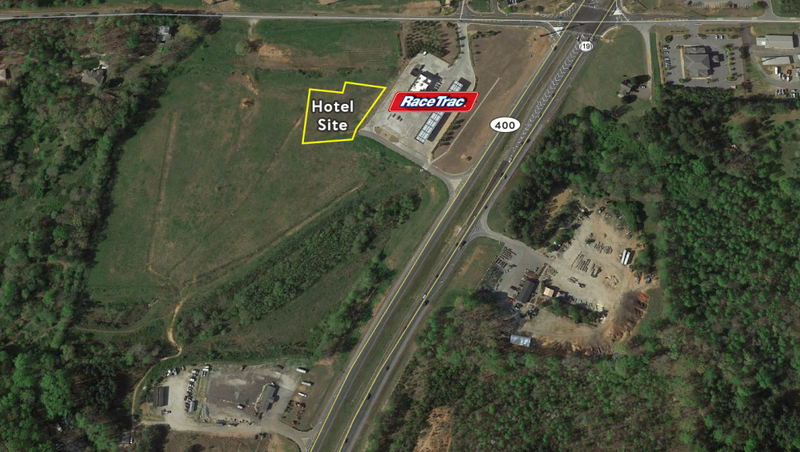 This 4.43 acre site is an excellent opportunity with great frontage on Veterans Memorial Highway. The current zoning, CRC (Community Retail Commercial), allows for a multitude of uses including self-storage, retail, restaurants, automotive and much more. 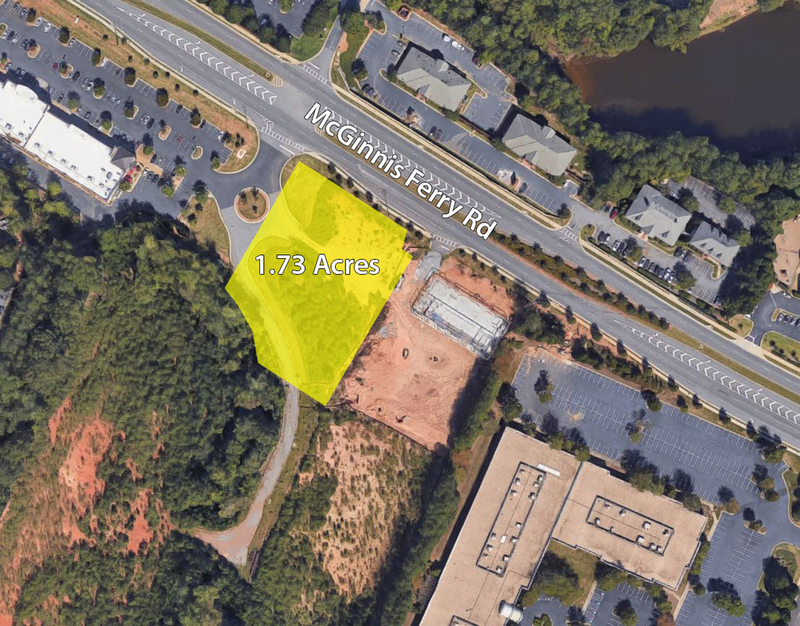 The property is situated in Cobb County, adjacent to the City of Smyrna and less than one mile from the new mixed-use development, Riverview Landing. Located approximately 10 miles west of Downtown Atlanta, the site has easy access to I-285 and I-20. Surrounding businesses and retailers include Sprouts, Anytime Fitness, Publix, FedEx, Silver Comet Trail and many others within 5 miles of the property. 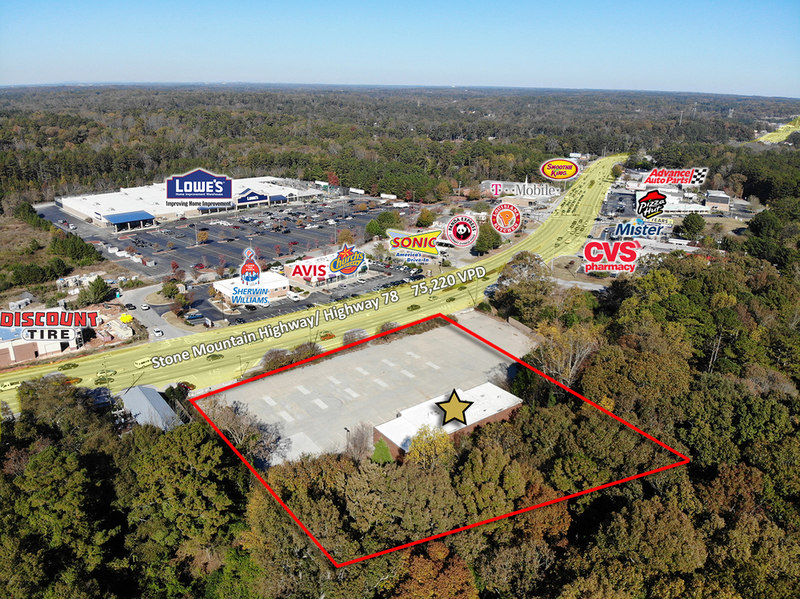 Excellent retail and residential development opportunity located in Dallas, GA just west of Marietta and North of Douglasville. Dallas has been an area slow to recover but recently commercial rents are on the rise as well as new home sales helped in part by the new Wellstar Paulding Hospital and expanding businesses. The land is divided in two zones, B-2 and Planned Residential Development (PRD). The commercial portion consists of ± 32 acres, which is currently available, and residential ± 33 acres, which is currently under contract. The retail gap within a 1-mile radius is close to $17m retail/food and 5-mile radius over $45m. Owner is willing to subdivide land and sell parcels separate. All utilities available. 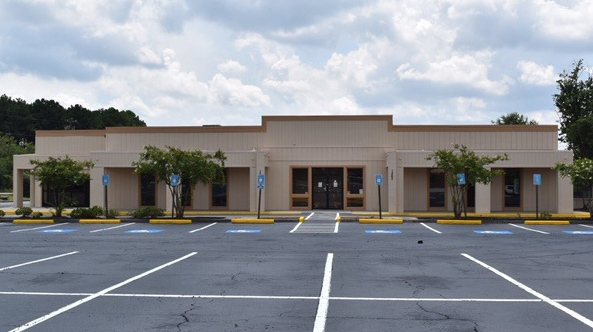 Bull Realty is pleased to offer this former Picadilly Cafeteria restaurant, located about a block from Southlake Mall in south metro Atlanta. 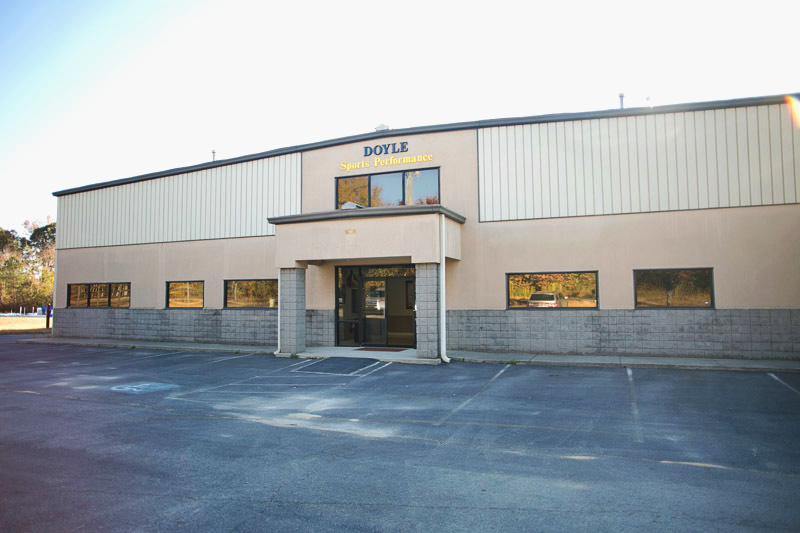 This building is about 10,000 SF and sits on approximately 2.5 acre corner site at a signalized intersection. There are 235 feet of frontage on Mt Zion Rd and 465 feet of frontage on Green Industrial Way. This property is available for sale or for lease. Bull Realty is pleased to offer this former Picadilly Cafeteria restaurant, located about a block from Southlake Mall in south metro Atlanta. This building is about 10,000 SF and sits on approximately 2.5 acre corner site at a signalized intersection. There are 235 ft of frontage on Mt Zion Rd and 465 ft of frontage on Green Industrial Way. This property is available for sale or for lease. Formerly a Ford Automotive Dealership, this 24,000 SF building sits on 4 acres at the signalized intersection of U.S. 280 and Quarry Road in the Birmingham MSA city of Sylacauga, Alabama. The property is currently leased to three tenants, all on month-to-month basis, with a gross annual income of $90,000. The seller will consider owner financing. U.S. 280 is the primary north-south commercial corridor for the area. Nearby retailers include Walmart, Home Depot, Piggly Wiggly, Big Lots and several other popular retailers. These anchor tenants draw strong traffic counts of 19,800 VPD on U.S. 280. Former USPS shipping facility available for sale or lease in Riverdale, Georgia. The structure is well built and maintained, with attractive brick exterior and several offices and break area lining the perimeter of the building. High ceilings and open work space make up the majority of the buildings ± 14,236 square feet. The building sits on 3 acres, most of which is paved parking (ratio approximately 5.62). 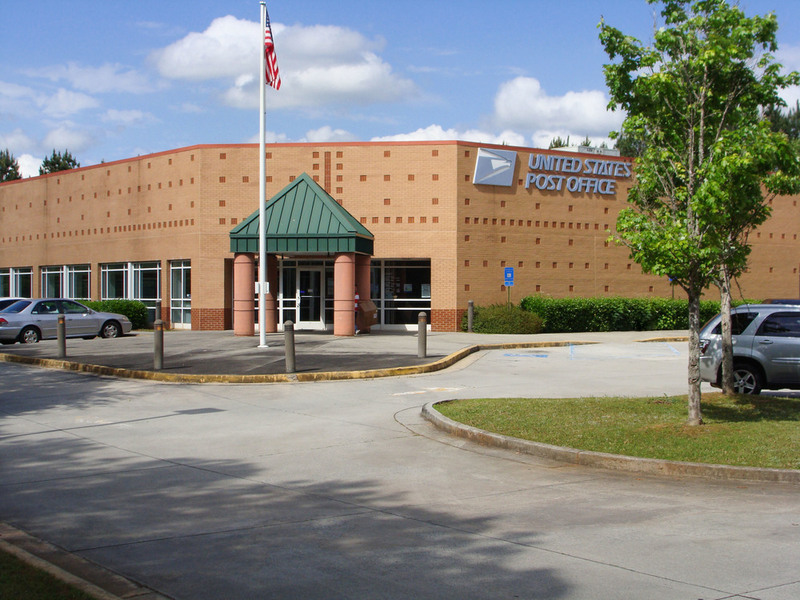 Former USPS shipping facility available for sale or lease in Riverdale, Georgia. The structure is well built and maintained, with attractive brick exterior and several offices and break area lining the perimeter of the building. High ceilings and open work space make up the majority of the buildings ± 15,467 square feet. The building sits on 3 acres, most of which is paved parking (ratio approximately 6.7). 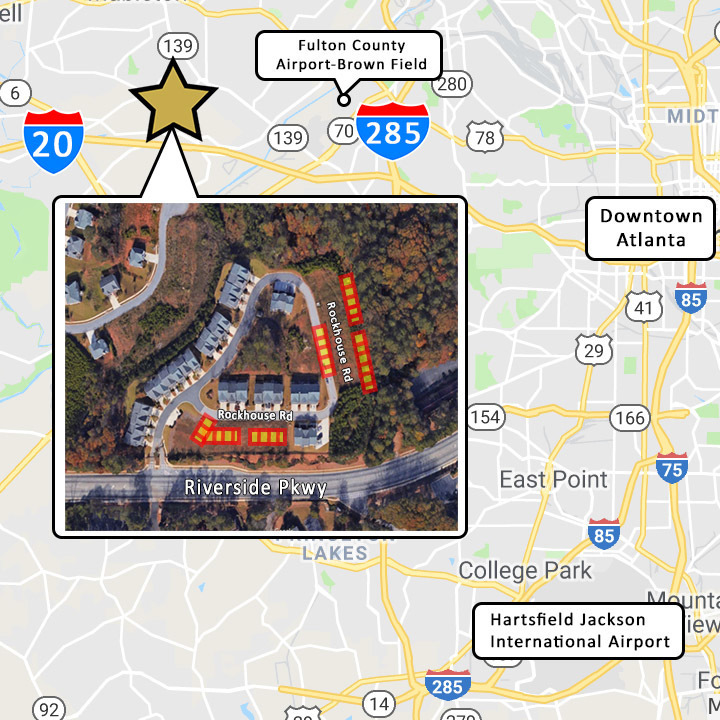 The subject property is located 1.4 miles south of Shops at Johns Creek which include La Fitness, Lowe's and Staples and 1.9 miles from Emory Johns Creek Hospital. 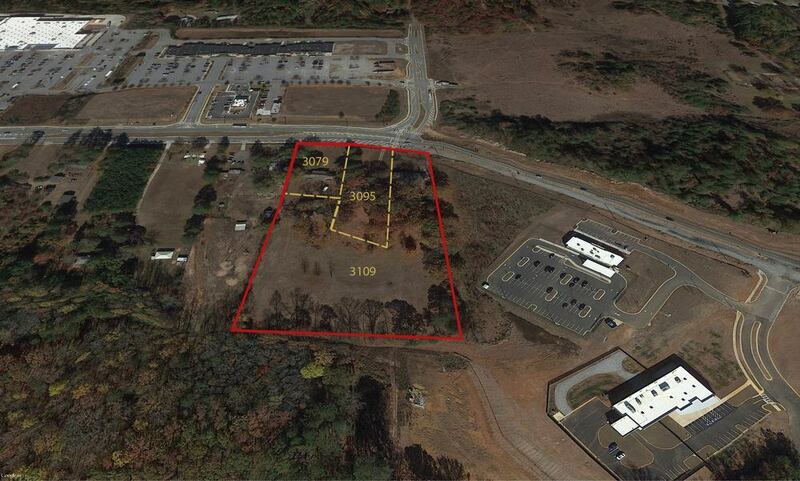 2 acres zoned CHB land available with direct access and excellent visibility from GA 400. All utilities are available including sewer. RaceTrac Petroleum constructed one of their new Flagship stores on the corner in 2011, and it has proven to be one of their top producing stores in the region. A traffic signal was installed on the corner of Whitmire Drive and GA Highway 400 in late 2016. The adjacent property to the north is home to Dawson Marketplace, a new Kroger grocery anchored retail development, with Restoration Hardware being the latest national retailer recently completing construction. A few hundred yards further north on the east side of Georgia Highway 400 is Dawson Crossroads, a new Publix anchored retail center. Home Depot, Super Walmart, Ingles and several small strip centers are also within 1-2 miles. 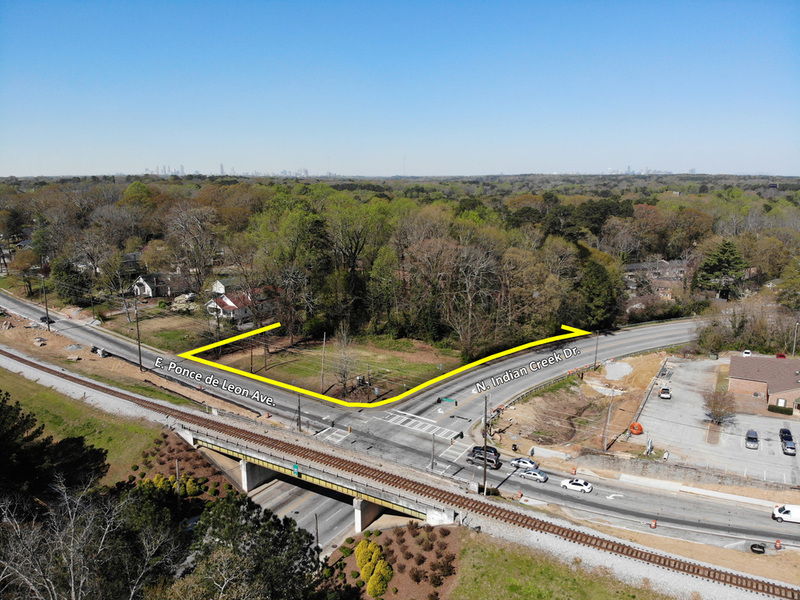 Two new apartment complexes are under construction nearby, and two large medical campuses (Northside Hospital and Northeast Georgia Medical Center) are expanding their footprint along this commercial corridor as well. Bull Realty, Inc. is pleased to present (27) padded townhome lots ready to build, with all infrastructure and utilities in place. These lots are located in the Chimney Hills Subdivision, in Austell, GA (Cobb County). This is a great opportunity for small to medium size builder in an established subdivision. 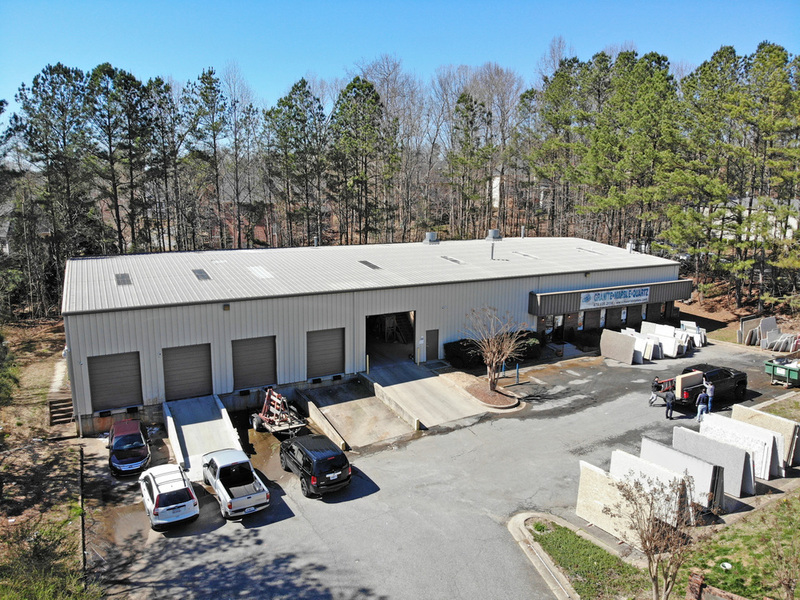 12,500 SF, two-tenant flex building in Alpharetta ideal for owner-user or investment opportunity. This property consists of ± 7.06 acres of land zoned for residential use (RS180). 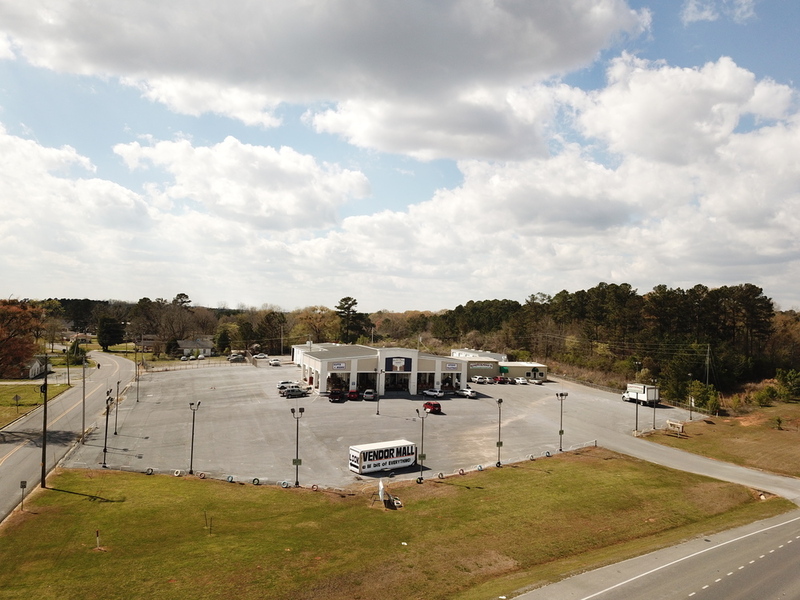 This 2.43 acre site is ideal for retail redevelopment with flexible C-2 zoning, a dedicated turn lane, paved surface and all utilities to site. The surrounding area offers strong retail and high traffic counts. 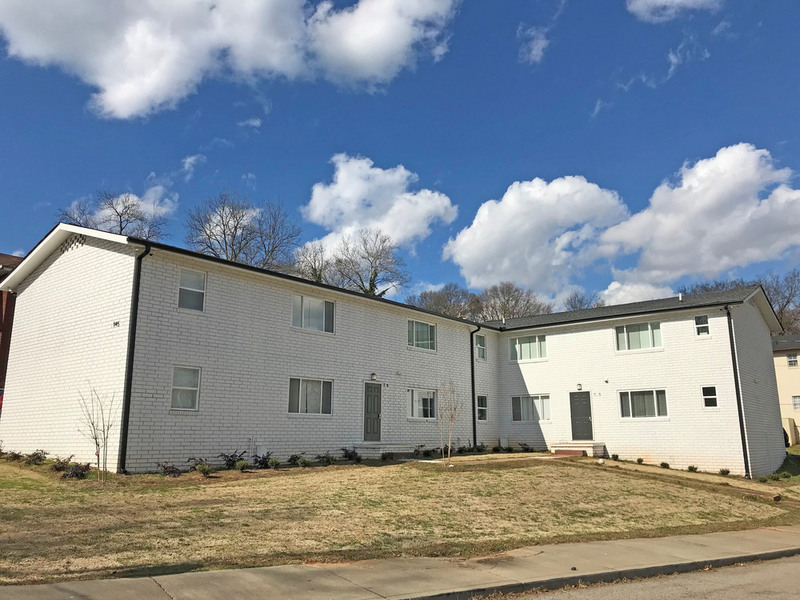 This property is well-located in Fayetteville, Georgia, 20-minute drive time to the world's busiest airport - Hartsfield-Jackson International Airport. Fayetteville is known for its historic charm, community activites and events, high quality neighborhoods and school system and outstanding medical facilities. Fayetteville is home to Pinewood Atlanta Studios, Piedmont Fayette Hospital, Fayette Pavilion as well as numerous other firms and most major retailers. 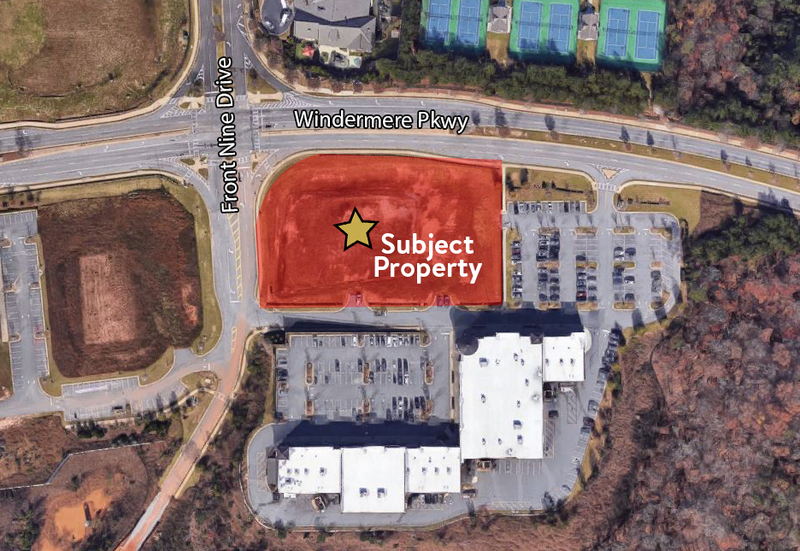 This site is situated on the corner of Windermere Pkwy and Front Nine Drive. Located 5 miles south of GA-400 and 8 miles from Lake Lanier Islands.